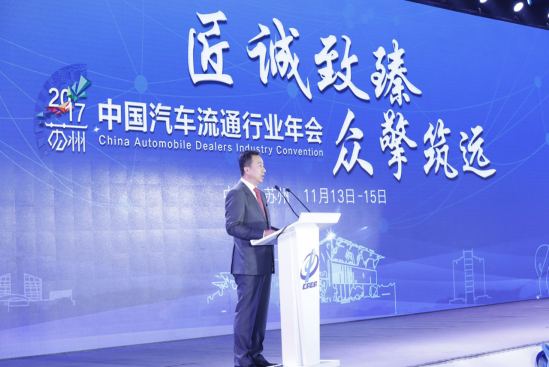 Suzhou, 15 Nov. 2017—China Automobile Dealers Annual Ceremony was held during the period from 13 November to 15 November in Suzhou, Jiangsu Province. With the theme of “Operating business with craftsmanship spirit Developing industry with united will”, the China Automobile Dealers Annual Ceremony 2017 aims at emphasizing the importance of craftsmanship spirit and guiding auto dealers through the way forward against the background of the transforming automobile market. Meanwhile, the Association also highlights the significance of social undertakings and has proactively participated in the efforts. After the displaying of CSR VCR, the Association presented auto dealers that have contributed significantly to the development of the industry and to the well-being of the society with annual awards relating to their respective achievements. China Rundong Auto Group, with its strong sense of responsibility and outstanding contribution, was awarded the “Social Responsibility Contribution Award”. 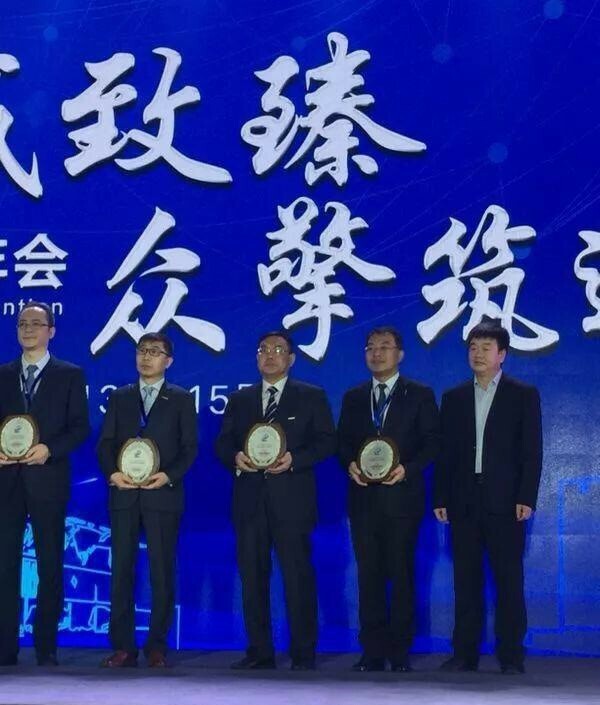 Mr. Liu Tong, Rundong Auto’s Vice President, attended the Ceremony and received the award on behalf of the Group. China Rundong Auto Group, as a comprehensive dealer which devotes itself to luxury and high-end auto brand business, has always been adhering to its core value of “Influencing others by self-improvement Creating a reciprocal environment for our partners”. Guided by its mission of “Rundong Auto, for a better world of automobiles”, the Group has made proactive efforts to fulfill its corporate social responsibility by carrying out various kinds of activities like setting up charity funds, helping leftover children, etc. Looking into the future, considering the opportunities and challenges brought about by the changing industry, China Rundong Auto Group, will further innovate its business pattern. Meanwhile, the Group, by carrying out various forms of the public welfare activities at different levels, i.e the Group level, the regional level and the 4S store level, will make unremitting efforts to fulfill its social corporate responsibility, aiming at establishing a harmonious community and helping push forward the development of social welfare undertakings as a whole.